Spring in Korea has spring showers. One day the weather in Seoul may be beautiful, but the next you might find yourself stuck in your hotel room with some nasty weather. 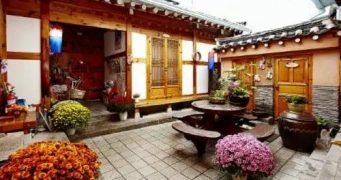 If you’re traveling to Korea and wondering what to do in Seoul on a rainy day, pick up your umbrella and head out to a few restaurants, just like Koreans do! 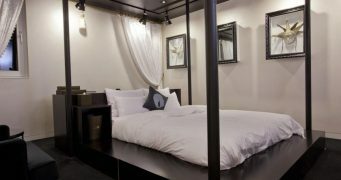 If you’re traveling to Korea and stuck in your hotel room in Seoul on a rainy day, don’t let it get you down. Get that umbrella, put on your rain boots, and head out! You see… On rainy days, Koreans like to eat certain things. And of course there’s a few reasons behind it. Make the most out of your trip to Korea by eating these foods on rainy days. Pitter patter, pitter patter. You’ve heard the sound of rain falling in your own kitchen. You just don’t know it. Korean people, however, have been able to make the connection: the sound of sizzling from a frying pan. 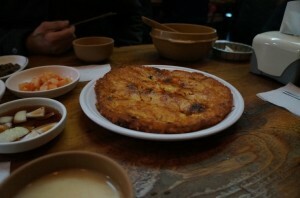 Jeon (also known as buchimgae, jijim) is a pancake-like dish that is fried with little nuggets of Korean food goodness inside. When it rains in Korea, Korean people think of the sizzling of jeon on a frypan, compelling most to head over to jeon specialty restaurants.Thing is, jeon isn’t exactly a main course. It’s more of an anju (something to snack on while drinking). So might as well drink! What goes best? Makkeolli of course. The creamy white, fizzy alcohol balances the oily jeon nicely. Some restaurants specialize in this combo, and on rainy days you can see lines of people just waiting for their chance to eat some jeon and makkeolli. And if you’re in Korea on a rainy day, why not do as the Koreans do? 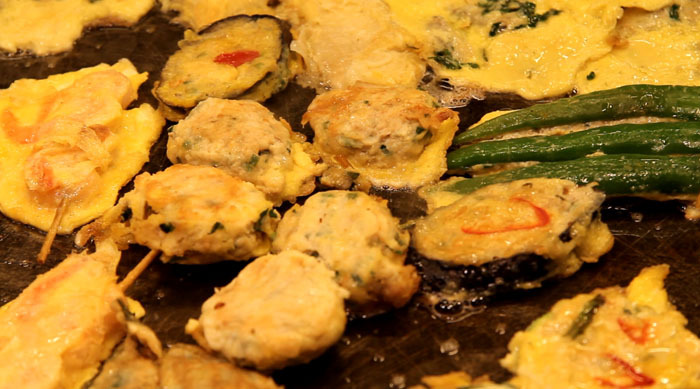 Tip 1: Haemul jeon (seafood jeon), kimchi jeon, and modeun jeon (everything jeon) are some popular dishes to order at jeon specialty restaurants. Rainy days in Korea can turn a bit chilly. The air turns cold, your hair’s a mess and your clothes and feet are wet. Sounds like a terrible trip to Korea, doesn’t it? 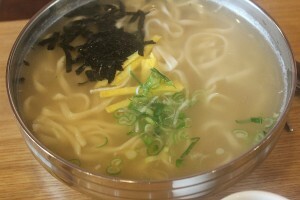 Well, try to warm yourself up like Koreans do by eating kalguksu or sujebi. Koreans usually turn to either of these two dishes on rainy days because it’ll warm you right back up from the chill causing rain. These two soups have pretty much the same broth; the taste is essentially the same. The only major difference is kalguksu has noodles in them, and sujebi has these doughy pieces broken off by hand. 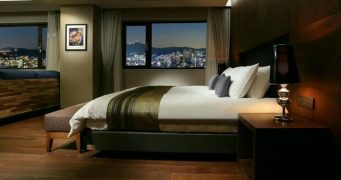 However, both will have the warming effect that you’ll be looking for on a rainy day in Korea! Tip 1: Order dumplings (mandu). Kalguksu restaurants typically have good dumplings. Share with us! What do you eat on rainy days in your country? In the USA, some people like to curl up on the sofa, under a blanket, and drink hot chocolate. I like some hot chili beans with cheese on top. Chicken noodle soup is also a popular choice. Your comment…I’m from Egypt we eat in rainy day lential soup but most of people like to eat anything hot and drink chocolate but I want to go Seoul too much I love Korea + anything realted with Korea like food & art & people. In South India, we like to eat bhajis which are vegetables (typically potatoes, onions and plantain) deep fried after dipping them in a batter. I like it when someone makes it for me though! It is made from fermented corn dough, water, salt, and alguashte and sweet quesadillas.